What is the difference between CFM (FAD) and CFM (Displacement)? To the uninitiated or first-time buyer of an air compressor, getting an understanding of the ‘power’ of each model can be tricky. For one thing, there are so many different terms and abbreviations involved (HP, PSI, CFM, Lt/Min and so on). Two terms that you’ll often see applied to the operational capacity of an air compressor are CFM (Displacement) and CFM (FAD). So, the inevitable questions are: what do these terms mean and what is the difference between CFM (FAD) and CFM (Displacement)? Simply, CFM stands for Cubic Feet per Minute; this is the imperial (i.e. non-metric) way of describing the volume flow rate of compressed air. CFM (Displacement / Theoretical) measurements refer solely to the nominal capability of an air compressor’s pump – in other words, the actual volume of air the pump can displace (draw into the compressor) per minute. This figure is based upon the size of the pump’s cylinders and the speed at which the pump operates. CFM (Displacement) should not be used as an indicator of an air compressors’ ability to run a particular air tool or its suitability to perform a certain task. CFM (FAD / Actually Delivered) is a far more useful measurement when determining the ‘power’ of an air compressor i.e. it’s suitability for use with air tools etc. Again measured in cubic feet per minute, FAD stands for Free Air Delivery, and this is the volume of compressed air that an air compressor will actually discharge as a result of the compression process. CFM (FAD) is typically a third less than CFM (Displacement). 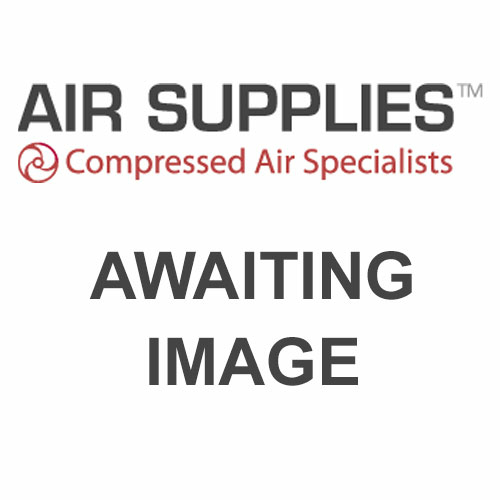 In other words, the volume of compressed air actually delivered is approximately a third lower than the volume of atmospheric air that an air compressor is capable of displacing.